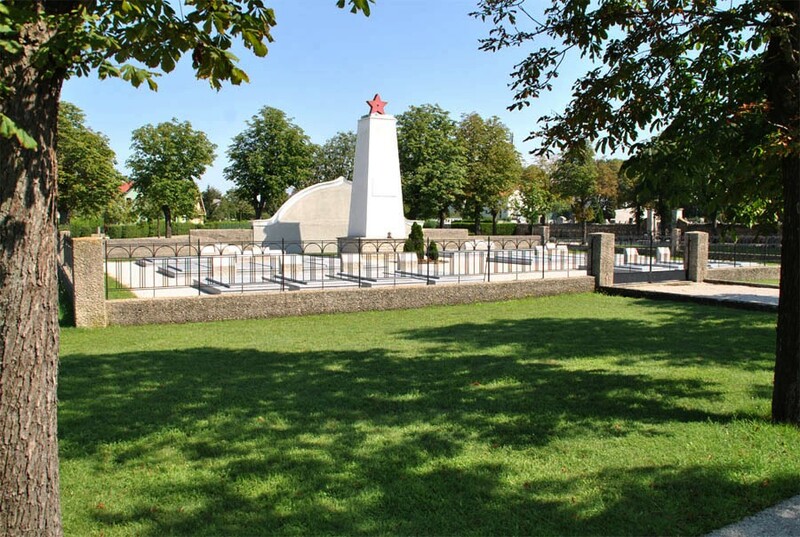 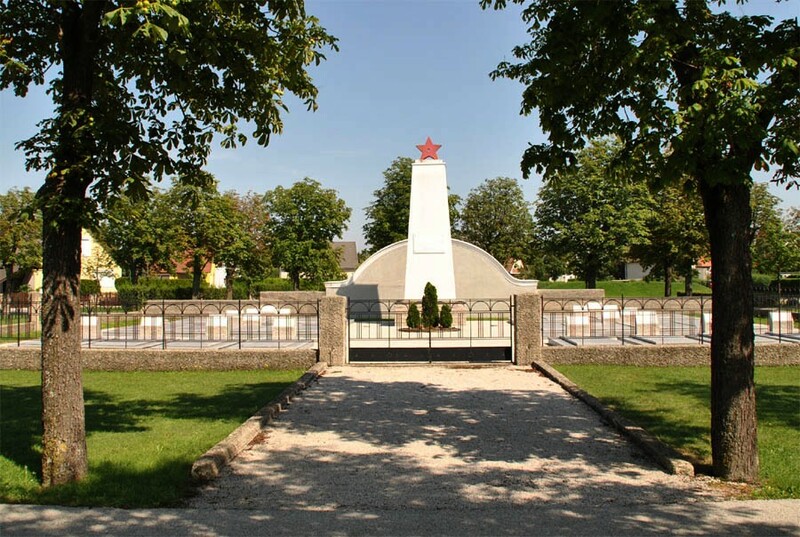 The Russian War Cemetery in Leobersdorf is located in the small village of Leobersdorf - south of Vieanna and north of Wiener Neustadt. This cemetery contains the graves of 184 Soviet soldiers from the World War II battles in Austrian in 1945 - plus 9 Soviet POWs. 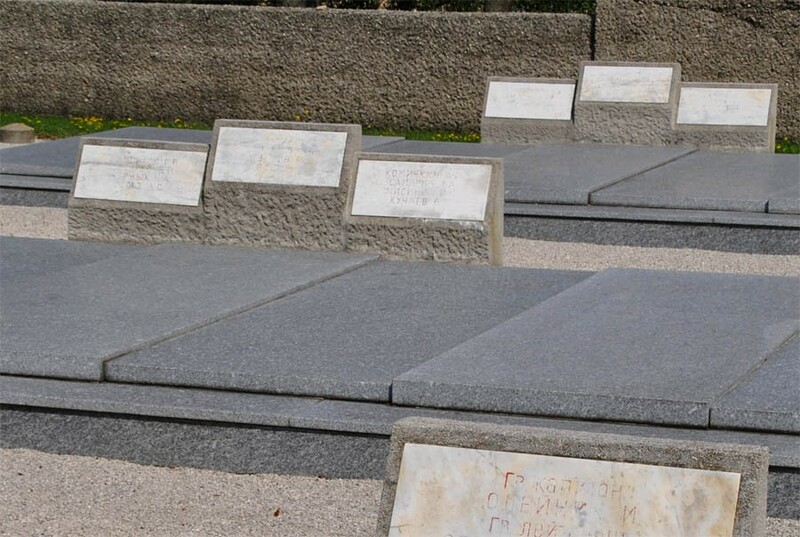 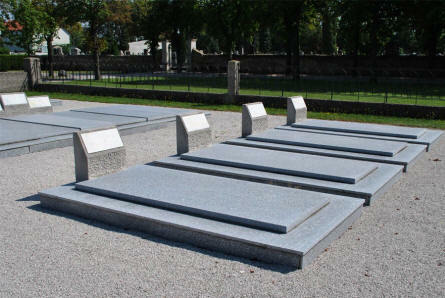 Some of the graves at the Russian War Cemetery in Leobersdorf. 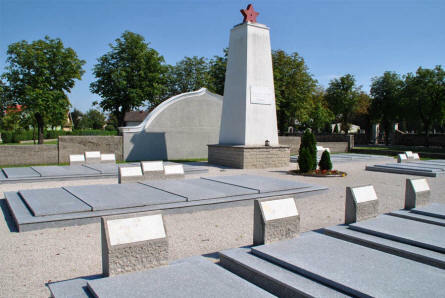 The Russian War Cemetery in Leobersdorf is not very big in size a the graves are not individual graves. The Russian World War II memorial at the Russian War Cemetery in Leobersdorf. 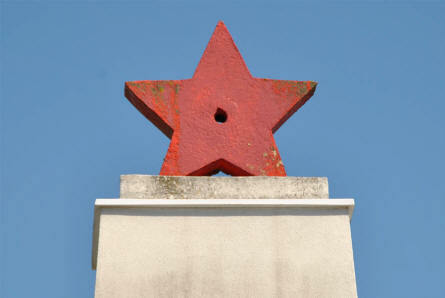 The "Red Star" on top of the Russian World War II memorial at the Russian War Cemetery in Leobersdorf. The entrance to the Russian War Cemetery in Leobersdorf.